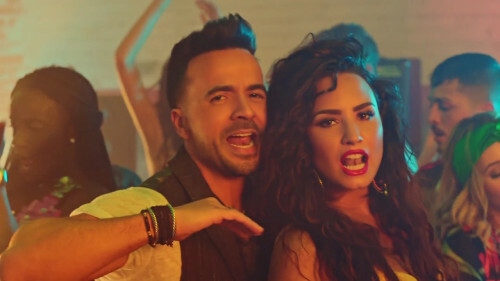 "Échame la Culpa" ("Put the Blame on Me") is a song by Puerto Rican singer and songwriter Luis Fonsi and American singer and songwriter Demi Lovato. Fonsi co-wrote the song with Alejandro Rengifo and its producers Andrés Torres and Mauricio Rengifo. The song was released through Universal Music Latin Entertainment, Republic Records and Island Records on November 17, 2017. The song has reached the top five in Bolivia, Chile, Ecuador, Panama, and Switzerland as well as the top forty in Argentina, Canada, Costa Rica, El Salvador, Germany, Guatemala, Italy, Norway, Paraguay, Peru, Poland, Scotland, Slovakia, and Sweden. The music video first takes place in Lovato's bedroom, before the duo meet up in an abandoned warehouse and hold a dance party. In its first 24 hours of release, the video accrued more than 17 million views, a record for Lovato. >> You can download Echame La Culpa ringtone free for mobile now!